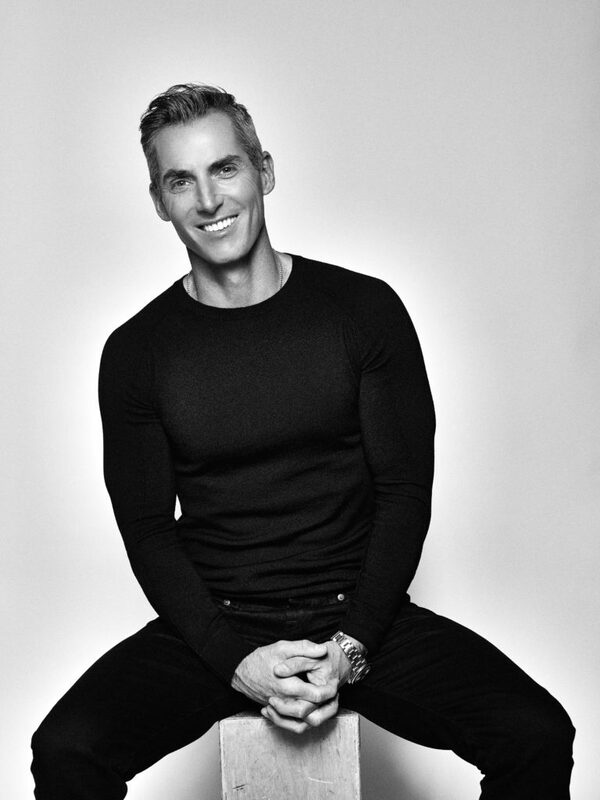 Bill Wackermann is the Chief Executive Officer of Wilhelmina Models. Started by Wilhelmina Cooper in 1967, the brand currently books a model every three minutes and is the only publicly traded modeling management company. In his role, Wackermann oversees the company’s core modeling business, leads the brand’s growth into new product categories and serves on its Board of Directors. Since being named CEO in 2016, Wackermann has created Wilhelmina Studio, the company’s creative agency, and revamped Wilhelmina’s celebrity division. Wackermann also oversees the brand’s Aperture talent agency and was instrumental in the production of the agency’s 50th-anniversary book Wilhelmina: Defining Beauty. We sat down with the fashion, media, and entertainment leader of Wilhelmina ahead of the release of our Spring 2019 issue and covered a lot of bases from leadership style to the person he had his last beer with and more. MM: Let’s jump right into it. I would love to know your observation on what magazine/site is getting it right? Why? BW: I loved magazines for a long time but the world has changed and we have to change with it. I’ve always liked Vogue and GQ for mood board inspiration pics. But it’s really the digital native sites that are changing the game. MM: As the CEO of Wilhelmina how do you keep up with the changes, we love watching you on Instagram it looks like you are having fun, what is your secret? BW: I’m so lucky to be able to work at Wilhelmina–it’s such a historic and legendary brand. When Wilhelmina Cooper founded the brand 51 years ago, she was leading the charge on diversity, and body image, way before anyone ever was speaking those words in fashion. It’s a fun business but it is a business. We are the only publicly traded modeling agency in the world. Last year we did over 37,000 bookings. MM: Let’s talk about the celebrity piece. Who has been the most rewarding person you signed/represented so far, was there a specific campaign or project you watched unfold? Was it successful? BW: From a talent standpoint, I’m really proud of the work we’ve been doing with Shawn Mendes. His Calvin Klein campaign was break the internet-worthy. Shawn himself is such an incredible talent, and he’s just getting started. MM: It is no secret being the leader in any organization is challenging, but you also keep fit! What is your secret? Do you do Peloton at 4AM, do you ever eat a hamburger? Tell us everything. BW: I never Peloton at 4 AM and I love a good burger at a diner. When I came to Wilhelmina, I started having meetings at Big Daddy’s diner near our office. People thought it was a joke, but I love diner food and pancakes. I’m a big believer in indulging in what you like, but I’m also a believer in being physical and taking care of your body. You can have both successfully. MM: Let’s talk about men’s fashion & models. We know you oversaw DETAILS mag (among many) back in the day, which we actually try to emulate in many ways. What do you see is the trend right now? What do YOU want to see in a men’s title in 2019/2020? BW: I think that magazines are becoming more and more like art books for a very select audience. We’re moving away from a general audience into people that are into specific categories, whether it be fashion or travel. We’re getting inspiration from all over today. This generation is consuming media in such a different way. The brands that don’t understand that are going to be out of business. MM: We know there is a difference between runway, editorial, and ads, but sometimes there is that ONE guy, who just does it all and becomes a legend. Similar to movies, like Brad Pitt and Tom Cruise. Who do you think is the equivalent coming up in men’s fashion? Is he repped by you? Wilhelmina represents incredible stars in the men’s industry like Francisco Lachowski, Marlon Teixeira and RJ King. We always have new fresh faces like Wellington Grant. But today what’s happening is you’re getting models that are moving into being Instagram stars, you’re getting Instagram stars that are moving into models, you’re getting actors and musicians that want to be models. Today the game is so exciting and so different. You can be a male star and not be 6’2” ½. You can cross categories. That makes the job of a talent agent more exciting than ever. MM: Steve Jobs had the black turtleneck, Karl Lagerfeld had the ponytail (RIP). Do you have a look, a uniform, or a piece you rotate into your wardrobe as part of your look? How would you describe your style? Any stores you spend too much money at? BW: Well, I would hardly consider myself up there with the icons, but I have a look that works for me. Today I’m wearing a blue cashmere sweater with track pants. I choose simple colors and mix them up with something more fun like a print. I like a good pair of shoes. I’m always spending too much on fashion, but it’s such a good investment in yourself. People should spend more time and money on it if they can. But you don’t have to spend a lot to have good style. There are people who are effortlessly chic who wear simple yet well-made things. Right now, I’m loving Helmut Lang. I’m mixing in Givenchy and Balenciaga with more street brands. I find that breaking down of casualness, streetwear, and high fashion is amazing. It’s very comfortable as a guy to wear and it’s simple but still incredibly chic. MM: Speaking of personal style, do you have a philosophy or style of leadership? EX: Situational, Transactional, Authoritarian, etc.) Have you changed your style at all in your career? What project or team required you to adapt and how did you pivot? BW: I always believe that you lead by example. People don’t follow you because someone puts you at the front of the line. They follow you because they believe in the vision you have. When people see that you work hard and you want success for the company and for them, that’s inspiring. My style has changed since leaving the publishing world to come to Wilhelmina. It’s such a people based business. Our talent–our business–gets in an elevator every night and leaves. You have to adapt your style to a more supportive, and less hard-edged. The talent that we represent and the employees that work at Wilhelmina have every choice in the world. We want to make them feel like they are at home, valued and understood. MM: Who do you admire and why? 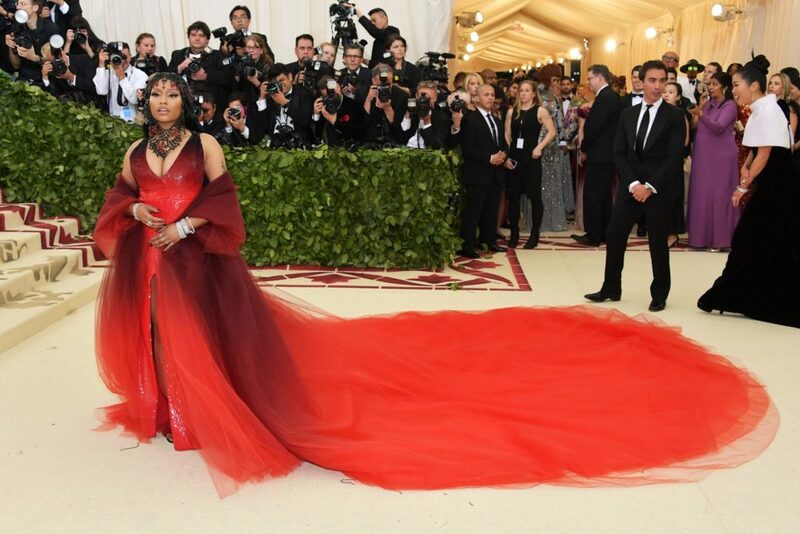 BW: Nicki Minaj. She’s an original. She innovated a game. She truly has the courage to be herself, to say what’s on her mind. She’s always been her authentic self and that’s really inspiring. BW: John Adams. He led in a tough time and created so many of the principles that we now use to define our political system. He was also a devoted husband who would write these long lovely letters to his wife. He was a leader in the most powerful way and still knew what was really valuable in his life. That’s my ultimate work-life balance. BW: The world lost an incredible designer recently with the death of Karl Lagerfeld. I had the opportunity to meet him this past year. He was outspoken and at the top of his game for over 35 years. I don’t think you can be at the top for so long and not have real genius. I’m inspired by artists in general, whether that be fashion, architecture or interior design. BW: I’ve been a big fan of Alex Lundqvist. He was with Wilhelmina for many years. He’s just an incredibly talented human being and a nice guy. BW: Guy Oseary has been changing the management game for years. He originally started at Maverick record label at the age of 19 years, and now represents people like Madonna and Amy Schumer. It’s inspiring to see people in this game that are really smart and that know how to package deals and make them valuable for the client. MM: You are trapped on a desert island, you can take 1 album/record/mp3 with you for the rest of your days, what album is it and why? MM: Who did you have a beer with last? BW: I just spent time with Charlie Puth. We had our first NYFW with him and he walked Philipp Plein. He’s a good guy, tremendously talented and someone you want to have a drink with. MM: Famous last words for lovers of men’s fashion magazines, like MAN OF METROPOLIS? BW: Instagram is changing the way we do business. I can’t stress to our agents and talent enough that it’s an incredible opportunity to put your brand out there. Every person who’s thinking, “Oh my gosh, I don’t want to be an Instagram thot,” will be left in the dust. People who are using Instagram successfully are making money and building careers. If you want to know my definition of a sellout, it’s someone who can sell out an area. That’s what stars do. Period.